Cambridge Scholars, 2014, 134 pp. 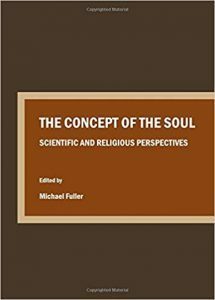 This volume originates in a conference organised by the Science and Religion Forum in 2012, bringing both scientific and religious perspectives. The general trajectory of thinking is indicated in my title for this review, although I could have added from soul to mind to self and then even to a denial of the reality of the self, as in Susan Blackmore. A bugbear in philosophy, psychology and neuroscience is what is technically called substance dualism, namely that the human being consists of two fundamental qualities that interact, as proposed by Sir John Eccles, who only receives one derogatory mention from Nancey Murphy that nothing has come of his project. This is surely mainly because it is such an unpopular view and people would be reluctant to be seen to support and research it if they also want to maintain their conventional reputation. This brings me to a major omission from this volume – there is only one mention of the potential implications of such phenomena as near death experiences, which is not followed up. The evidence for survival, memories of past lives, apparitions, out of body experiences and laboratory parapsychology is simply bypassed by everyone in this volume, when it is precisely such evidence that calls into question the largely physicalist perspective espoused here, even if it does not all point in the direction of substance dualism implying the survival of the soul after the death of the physical body. Science, philosophy, psychology and theology give an incomplete view if these lines of evidence are not taken into account. For me, the three most interesting contributions came from Louise Hickman, Nancey Murphy and Chris Frith, the latter having the rare distinction of being both FRS and FBA. Hickman takes an interesting perspective that includes the nature of the self and contemplation of nature in her consideration of the history of ideas about the soul. She maintains that the biblical understanding of soul is ambiguous, although many theologians take the view that both early Hebrew and Greek thought understand the human person as a holistic integration of soul and body. She discusses Plato and Aristotle in some detail, remarking that Neoplatonists saw no conflict between them. Aristotle’s idea of the soul as form is one that has been reproduced in more modern field theory, for instance by Rupert Sheldrake and Brian Goodwin. She emphasises ethical and relational aspects further developed by Plotinus, and considers the thinking of Augustine and Aquinas. She sees Descartes as a decisive break and a reduction of soul to mind, which also has ethical implications as reflected in a mechanistic and exploitative attitude towards nature. This is a nuanced and thorough analysis. Nancey Murphy takes the title mind, soul and the cognitive neurosciences. She suggests that developments in Biblical studies have aligned themselves to the central physicalist assumption of the cognitive neurosciences, but this begs the question of how we can satisfactorily account for moral responsibility, spirituality and rationality. This leads on to an interesting discussion of downward causation in relation to complex adaptive systems where process is primary – and a much subtler and more relational notion of causation emerges. She argues for the necessity of a non-reductive version of physicalism, and compares this with the dual-aspect monism of Sir John Polkinghorne. However, non-reductive physicalism has nothing to say about the survival of consciousness and one can only assume that death spells extinction in any form of physicalism. Sir John argues that immortality is not a natural feature, but one conferred through the grace of God, so his answer is essentially theological rather than scientific. Chris Frith draws on a considerable body of research in asking whether the brain is all there is. He argues that we are more embedded in social world than we realise, partly through the actions of the unconscious. He discusses agency and responsibility rather than framing his discussion in terms of free will, noting that the feeling of regret is also associated with agency and that we are aware of the difference between actions leading to intended and unintended outcomes. He also sees the sense of agency as an important component of cooperation. Reflection on our experience of action and choice can, along with perception, change our behaviour and experience. He suggests that our brains give us the ability to reflect upon our actions and experiences and to discuss these reflections with others, while observing that culture is a two-way process; he concludes that understanding the brain is necessary, but not sufficient, for understanding the human person that each of us becomes, leading to a culturally emergent concept of the soul as the ability to carry out higher cognitive functions. So the volume is interesting as far as it goes and the conclusions drawn are consistent with the limited range of phenomena considered. As such, the volume is academically representative as there is very little engagement with the data of psychical research, parapsychology or transpersonal psychology in universities, who prejudicially tend to regard the whole field as rather disreputable, although with no good reason. Buy The Concept of the Soul here.